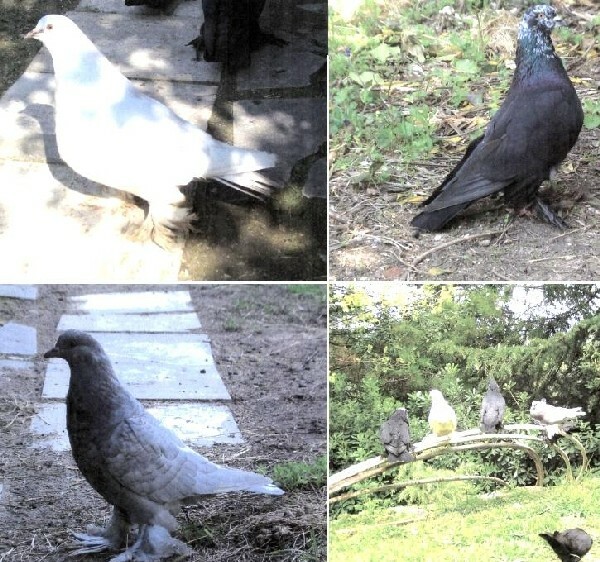 It is one of the oldest breed among the Italian Pigeons (mentioned in a writing of 1768). It was not reared only in the Marches, but also in other regions of Central Italy (Emilia-Romagna and Campania). It is thought to have been the original breed from which Romagnolo has come out. It was considered exinct by the beginning of ‘900 but it has been recovered recently. Mean weight: 0,85 - 0,95 kg. A small head with a long beak, straight and thin. A large back; the tail is bowed towards the ground, very close to touch it. The claws are quite tall with tarsus and legs heavily covered with feathers. Variously coloured.